Rab Full cutoff ceiling light in cool white color, delivers 2481-Lumens of superior output with a color temperature of 5000K and CRI value of 68. The lamp is power rated for 10-Watts and voltage rated for 120 - 277-Volts. 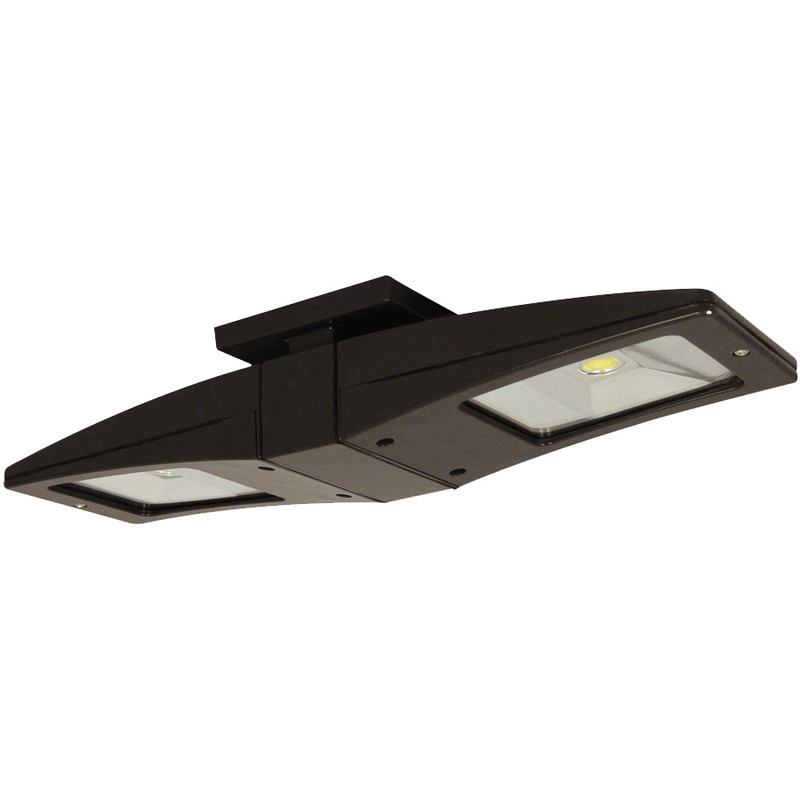 The light is temperature rated for -40 to 40 deg C. It includes tempered glass shade, precision die-cast aluminum housing with bronze polyester powder-coated finish for added durability. It supports ceiling/flush mounting. This light has a dimension of 1-ft 7-3/8-Inch x 5-Inch x 3-3/8-Inch. It is suitable for wet locations. Ceiling light is UL listed, RoHS compliant and meets LM standards.